We know how important this day and these moments are to you and your family. We want you to be able to fully enjoy every part of your special event. From slipping on your dress, to getting ready with your friends, to dancing the final dance. We specialize in keeping you stress-free and relaxed through the entire planning process. We pride ourselves on calmness and our personable professionalism. Taking care of every detail, we leave you with nothing to do but enjoy yourself and your guests. You will get to experience your special day in a way that you'll be sure not to forget it! This is my motto for every aspect of life - I even have a custom bracelet to remind me daily! It ignites the creative passion that God placed inside of me and marries it with the work ethic and drive instilled in me since I was young. I launched Allyssa Elaine Events in April 2016 and have been spending the last few years in awe of what I get to call my job. 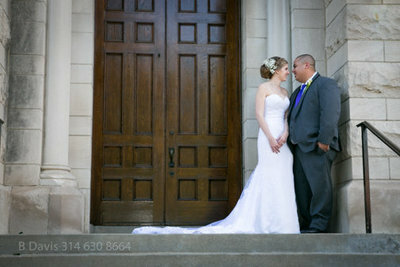 From meeting with talented vendors and venues to executing beautiful events for amazing couples - I am truly blessed. 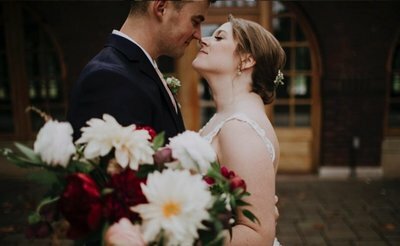 I have planned, coordinated, and designed over 50 weddings and 12 styled shoots since our beginning and we are already booking fast for next year! Here at AEE, we are dedicated to giving quality service, building relationships with clients, and providing the best experience at every event. We are always up for any task you hand us and go above and beyond, no questions asked. Every event is a new opportunity and every client is highly valued, we love the people that trust us with these important moments in life! I am recently married to the love of my life (that handsome guy in the picture) and we are enjoying this new chapter of life. A few of my favorite things include vanilla chai tea, cheesecake (if you didn't catch that yet), lettering, Myers-Briggs & Enneagram (INFJ / Type 1 & 2 over here! ), and of course watching Netflix. But above all, creating lasting memories for every client and delivering quality service. 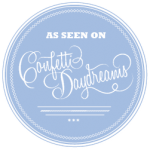 So come on, let's chat and see how we can make your event or wedding the best one ever! There are not enough good things I can say about Allyssa! She was so organized (I think all my vendors were impressed at her day-of timeline..), CALM, and very aware of how the wedding industry works. 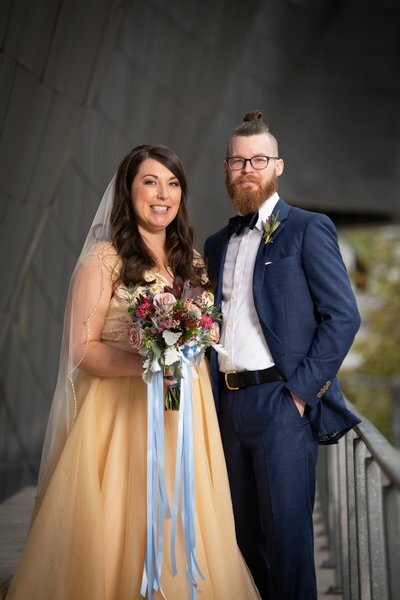 She was helpful from major planning decisions to answering minor questions quickly throughout the planning process and the sole reason everything ran so smoothly the day of our wedding. I highly recommend her as your wedding planner, month of coordinator, or day of coordinator. I truly could not have done it without her. Allyssa was so wonderful and I’m so glad we chose to have her help with our wedding. She listened to everything that I wanted and paid close attention to detail. I think of myself as a good planner, but I cannot stress enough how helpful it was to have Allyssa. I was able to completely enjoy our wedding day knowing that she was behind the scenes making sure that everything we talked about was perfect! Allyssa was a PILLAR of support and A POWER TO BE RECKONED WITH! 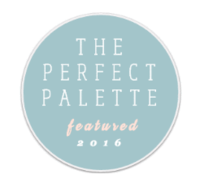 What a stunning display of wedding planning and coordination! You took our vision and brought it to life! With fighting weather obstacles, to working with over eight vendors, to assisting with my grandma...you and your team pulled it all off spectacularly and made it look effortless! THANK YOU again! 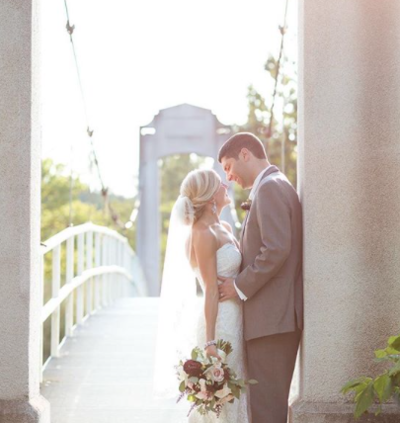 Hiring Allyssa for her planning and coordination was the best wedding decision we made. 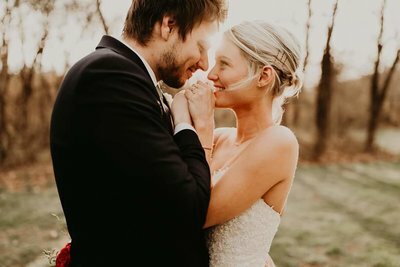 We came to her overwhelmed with all the details about a year before our wedding, and since that very first meeting, she brought her calm attitude, professionalism and advice to our planning process. 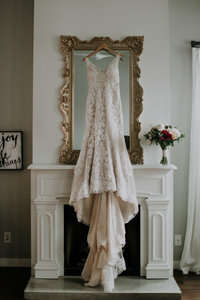 As a type A bride, I appreciated her attention to detail and organization - she was someone I could trust with the big picture and the details. 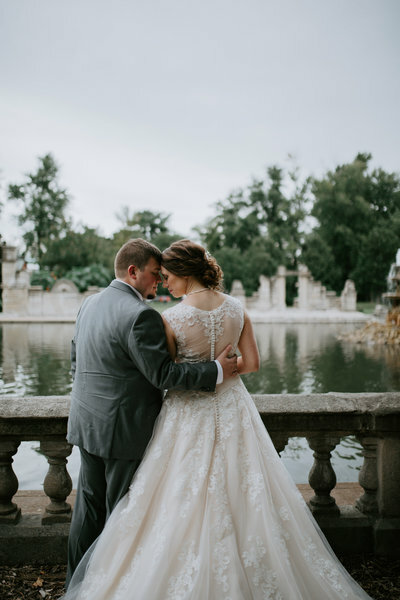 Not only is she incredibly talented and the best in STL, she genuinely cares about you and your big day, and will work together with all your vendors, friends and family to make sure it’s everything you’ve dreamed. Our entire day went off without a hitch and it’s because of her hard work. Do yourself a favor and book her for your wedding! 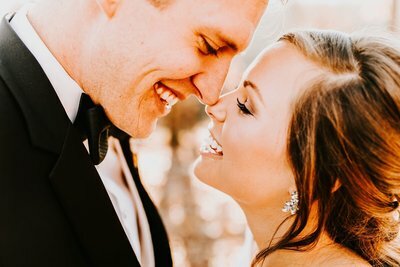 My husband and I cannot express how amazing Allyssa was for our wedding. Not only did she make sure everything ran smoothly during the rehearsal and wedding day, but she also set up the entire reception venue and made everything look beautiful! From bringing coffee in the morning to making sure all of our cards, gifts, and personal items were collected at the end of the night and made it home safe, she truly thought of EVERYTHING. 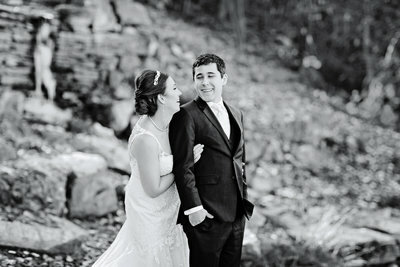 Allyssa provided way more than simple wedding management or day-of coordination. She was an amazing resource and was always extremely available. I feel like I could go on forever talking about how wonderful Allyssa is and how she made our day absolutely perfect AND stress free!! 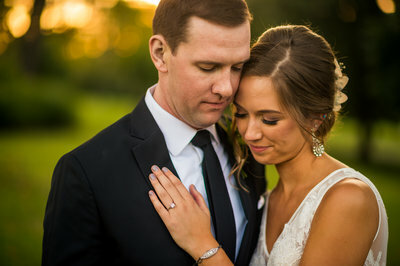 I cannot say enough how wonderful it was to have Allyssa help coordinate our wedding. 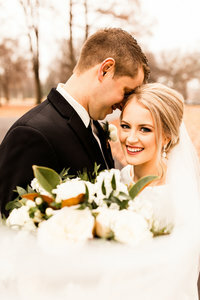 She was barely past her own wedding and honeymoon when she began coordinating with all my vendors and working on a detailed wedding timeline, which she distributed to the entire wedding party. On the day of the wedding, she brought breakfast and lunch, went back to the tux store to get missing cuff links and shoes, rounded up missing flowers and helped transport belongings to and from the church. Most importantly, she helped keep us on time and we were able to spend quality time with our friends and family. We are very grateful for Allyssa's assistance, professionalism, and attention to detail. We HIGHLY RECOMMEND her to anyone planning a wedding or other significant event. 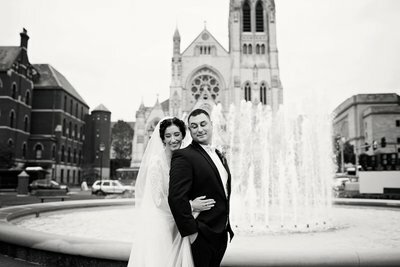 Hiring Allyssa Elaine Events was the best decision I made while planning. In the months leading up, she was quickly available to answer even the dumbest of questions. She was organized and prompt, and quickly garnered my complete trust. She was seamlessly able to coordinate so many different people and she created my schedule for the day of, even taking into account my sister's nursing schedule for her 5 week old! Throughout the night our tips were distributed to various vendors and at the end of the night, our personal belongings were already gathered up and put into our car. From the very beginning of the day to the end of the night I never once thought about set up, coordination, decoration, etc. I enjoyed myself without reserve. 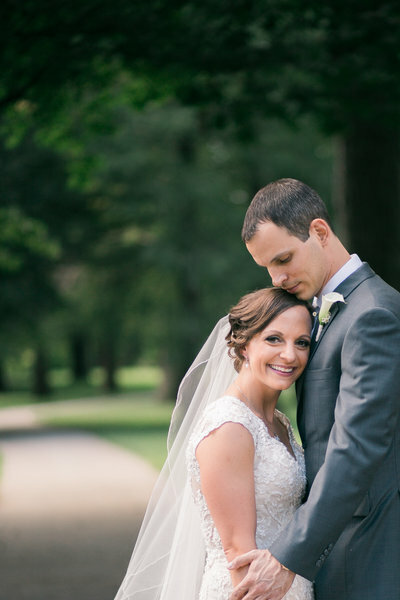 Without a question, hiring Allyssa and her team was the best choice we made for our wedding. Having her on our side for the big day let me relax and actually enjoy the wedding. I knew Allyssa and I were similar minds from the first time we met. She is organized and detail oriented and quick with communicating. I am a bit of an over-planner and had a pretty specific vision for our day. Not only did everything go off without a hitch, the spaces looked more beautiful than I could have ever imagined. My husband and I 100% recommend Allyssa and highly suggest booking her early! 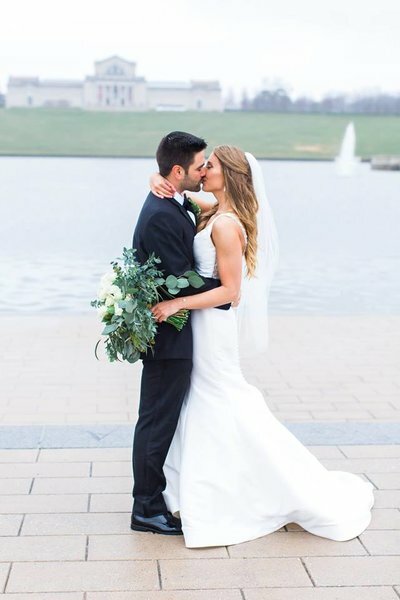 Deciding to hire Allyssa Elaine Events for our day-of coordination was the best decision I made during planning. Allyssa is really laid back and easy to talk with, she really takes the time to understand your vision. 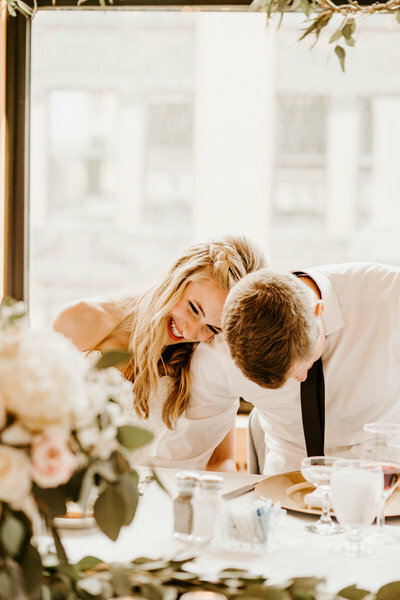 Once hired, you are given access to her shared drive of wedding planning gold- budgeting spreadsheets, vendor recommendations, seating chart assistance and much more. They did an amazing job setting up the room for the reception as well as anticipating all our needs. They really made the whole experience stress free and I can't recommend them enough. I cannot give enough praise for Allyssa & everything she does. I hired Allyssa to take over for me about six weeks before my wedding date & it couldn't come soon enough! She's such a down-to-earth, detail-oriented individual, which set my Type A perfectionist heart at ease immediately. She was my saving grace the week-of when I was stressed over everything! I knew the day-of that I wouldn't have to worry about anything because she would have everything taken care of and do anything I needed. She's truly an amazing coordinator & an even more amazing human being. I'm truly grateful for her! Allyssa worked magic! Even with her own wedding coming up, she was always friendly and responsive to all questions or concerns I had. She made planning the wedding so much less stressful, as I live in Springfield and the wedding was in St. Louis. She worked closely with my mom on days that I could not make it to meetings, but always kept me in the loop. The reception venue was gorgeous, and she set up/made sure everything was in it's proper place, as well as worked with all the vendors the day of. If there were any issues or hiccups, I was none the wiser! 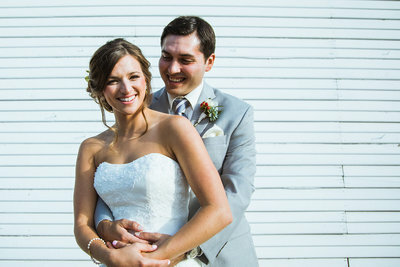 I can't recommend Allyssa Elaine Events enough, or thank her enough for making my day as perfect as I always dreamed! Allyssa was AMAZING! 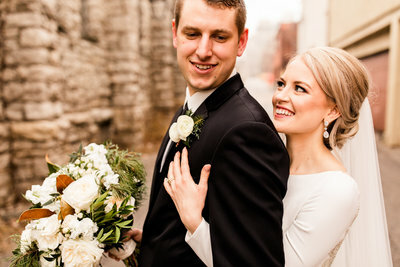 We met a few months before our wedding and from this point on she was extremely accessible and really did anything and everything that needed to be done-from contacting vendors to bringing lighters for our unity candle. Her schedule was extremely detailed and great to hand out to family and friends so everyone knew where to go when. She is everything you would want in a planner-organized, diligent, able to handle a large bridal party, kind, etc. I can't say enough great things and would recommend her to anyone! No words can accurately describe how we feel about our time working with Allyssa and her crew, but grateful and blessed come close. For nearly a year, Allyssa helped us plan a day that was perfect for us. 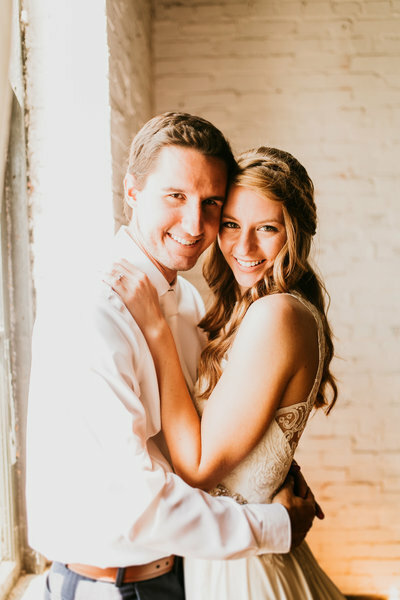 Allyssa is also a highly organized person, but she is much more patient and even keeled, and those traits are absolutely necessary during the wedding planning process. 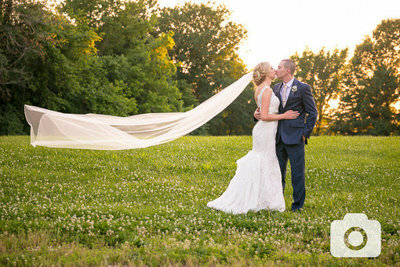 Time and time again, Allyssa effectively communicated our needs to other vendors, which resulted in a seamless wedding day. 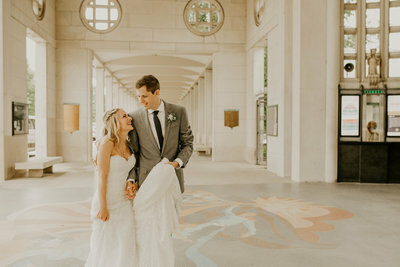 We will never be able to adequately thank Allyssa for giving us the most perfect day on the most important day of our lives. 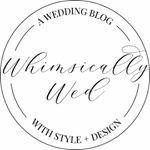 We highly, highly, highly recommend Allyssa and hope that you will do yourself the favor of booking her for your wedding too. Hiring Allyssa as my day-of-coordinator was the best decision I made throughout the wedding planning process, by far. 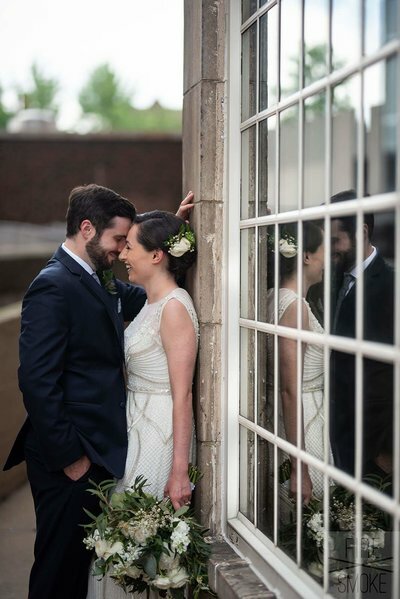 She was accommodating in every way possible leading up to the day, and couldn’t have been more calm and perfect during our wedding weekend. Many family members commented how relaxed and on top of things she was. I can’t imagine how much easier the process would have been if I had her helping me since day one! If you want the organized planner of your dreams, she’s it. Allyssa's attention to detail was second to none and she went above and beyond in so many ways. From negotiating with all of my vendors to assisting with stylistic components to running last-minute crazy errands, Allyssa was always there to save the day. 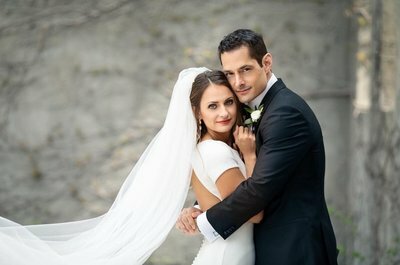 I could not have pulled off the wedding that I had imagined without her! Allyssa is calm, organized and professional but never bossy. 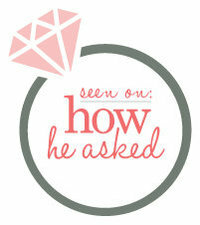 Before the wedding day, she quickly answered any questions and offered tips. She put together a very detailed, impressive timeline for the day that other vendors admired and appreciated. Allyssa took care of little details without being asked. Whenever we did ask her about something, her reply was "I'll take care of that." We could not have imagined the day without her. 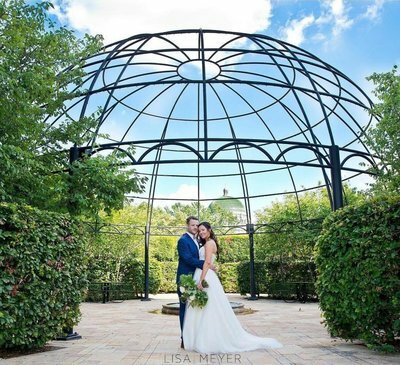 Hiring Allyssa was the best decision we made in our wedding planning process. Allyssa did everything we asked and made sure the day went smoothly. She put together our welcome bags, picked up Starbucks in the morning, setup the venue so I could have a spa day. When I walked into the reception venue and saw everything set up exactly as I had visioned, my mind was blown. 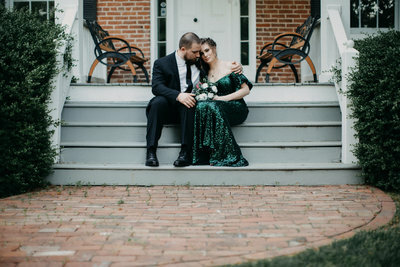 I was able to truly enjoy everything we spent months planning. Allyssa was absolutely wonderful! 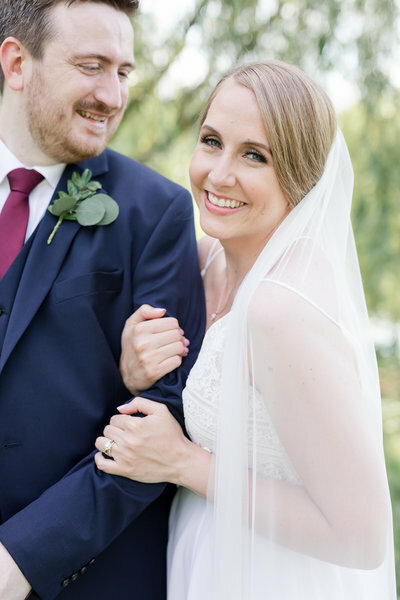 She was extremely easy to be in contact with, no matter what time of day which made our wedding experience so much easier and stress free. She genuinely cared about us and it really showed. Everything we could ever imagine was possible because of her! Hiring Allyssa was probably the best decision we made during the wedding planning process. My husband and I are considering getting married again just to use her! Allyssa was incredibly well prepared and helpful and made herself available any time I needed her. She was also just very friendly and a pleasure to work with! 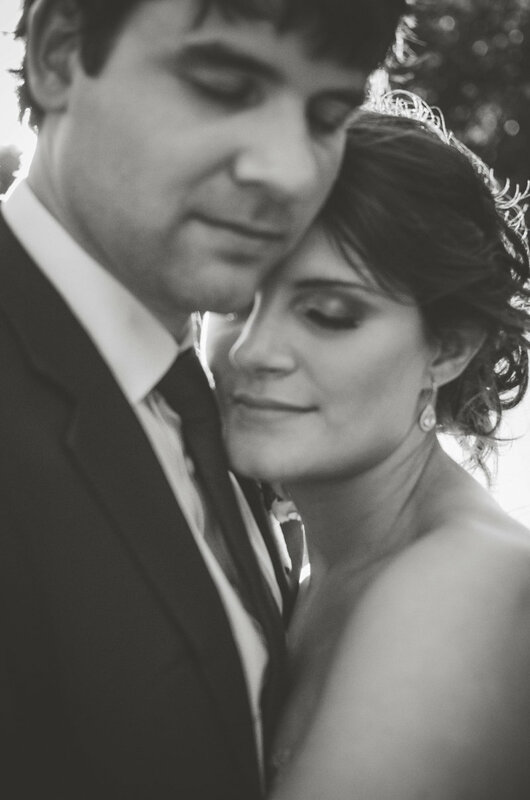 Allyssa came in a few weeks from the wedding and it was the biggest relief. 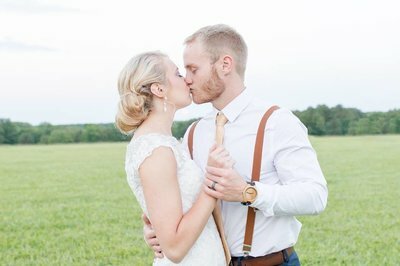 She handled all the vendor confirmations, figured out all the last minute questions, and set EVERYTHING up at my reception venue. It looked so perfect and better than I could have imagined. 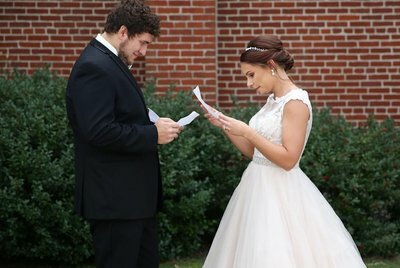 Allyssa and her team allowed me to actually enjoy my wedding day and not stress about a single thing. The day of the wedding Allyssa felt like more than just our day of wedding planner, she was like superwoman: picking up coffee and bagels for the bridal party, coordinating lunch for the bus while we took photos, making sure everyone was on time and where they needed to be, etc. It took the stress out of the day for myself, my mom , and anyone else who would of had to spend the day making sure things were in order instead of enjoying themselves. We are so thankful we hired Allyssa! I'm positive Allyssa did so much more behind the scenes work that I'm not even aware of. My family bragged on her the entire day and how great of a job she did. If you're on the edge about hiring a coordinator or planner, look no further. 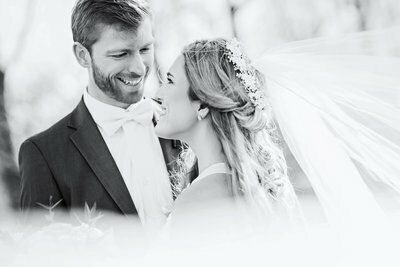 Allyssa will bring your wedding to life and will ensure you are fully able to enjoy the biggest day of your life. She is so kind, helpful, and sweet. You won't find a better person than her! Perfection is the only word I can think of that describes Allyssa. She helped with every tiny detail, and I mean everything. 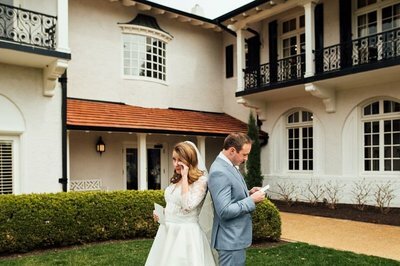 We called her 2 days before the wedding freaking out about table numbers, and she simple just said “I will take care of it, don’t worry about it.” She was truly a life saver during the whole process. Allyssa’s attention to detail, her very organized notes, and the personalized wedding binder all make her the best possible choice for planning your special day. She is the absolute best! For more reviews, check out The knot!